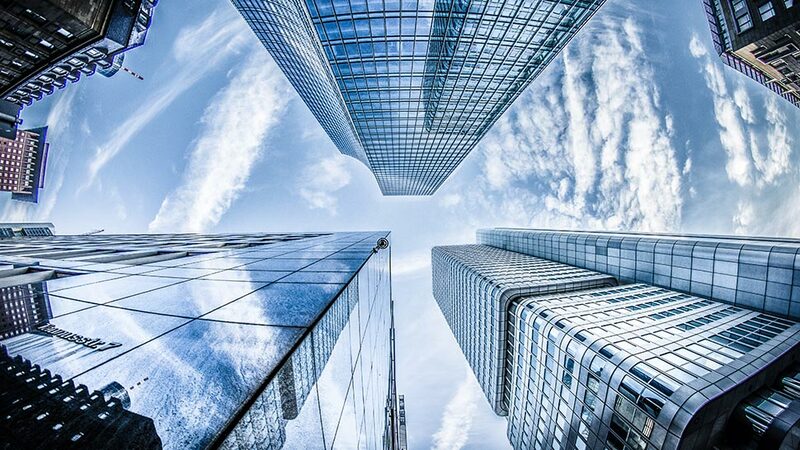 Every year, in the month of March, the watch cognoscenti descends upon the city of Basel, Switzerland for the Olympics of the horological universe, a.k.a. 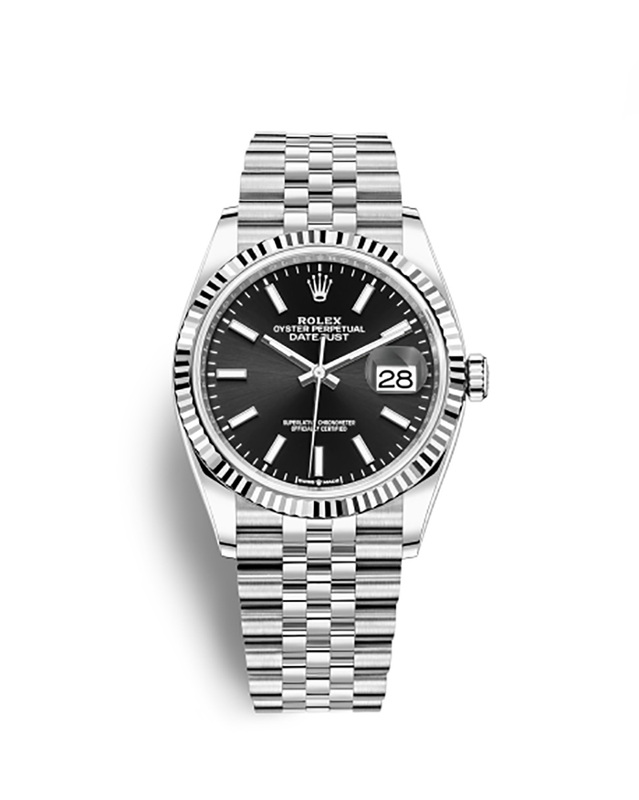 Baselworld—and this time, Rolex wowed the crowd by unveiling its assortment of the newest Rolex watches for men. In 2019, the Swiss watch manufacturers reinvent the classics by focusing on the Oyster Perpetual collection. 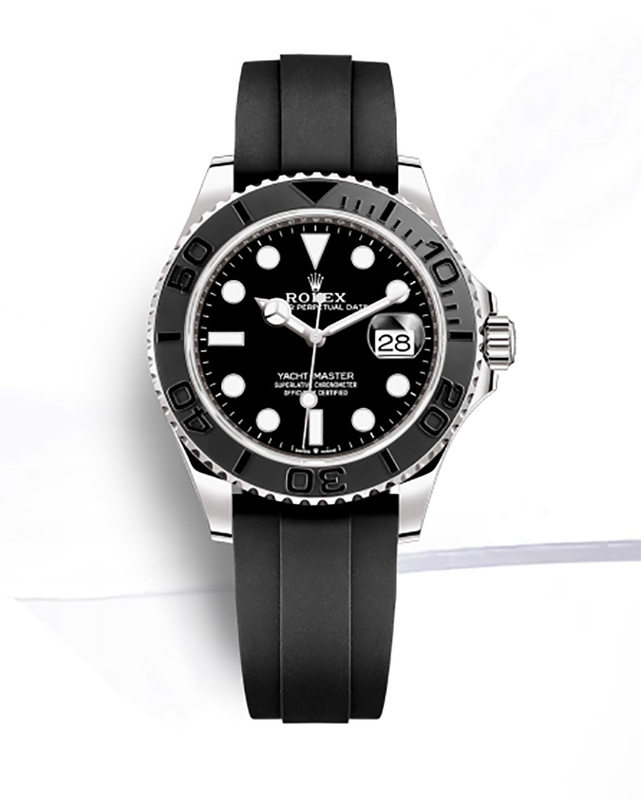 The line is derived from the Oyster, the world’s first waterproof wristwatch, which debuted back in 1926. The “Perpetual” came later, in 1931, named for the self-winding mechanism of the Perpetual rotor, designed to transmit uninterrupted energy to the watch as it follows the natural movement of the wrist. It seems fitting, then, that after nearly a century, Rolex is introducing seven new models with their own unique features and innovations, set to become a favorite for generations to come. 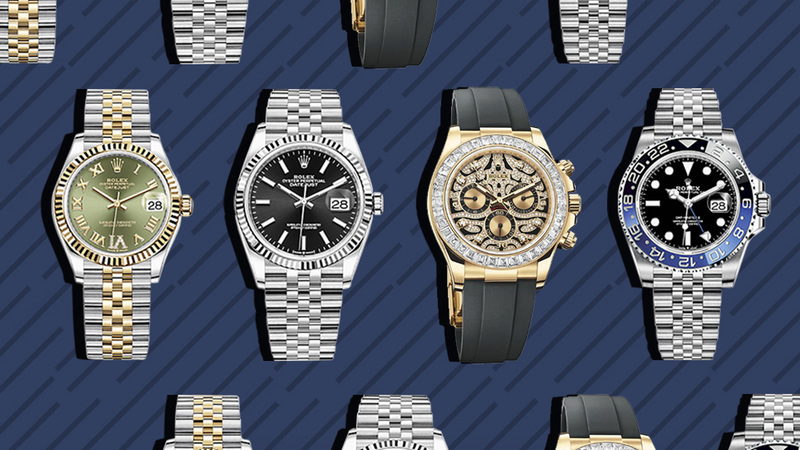 In the mood to do some watch shopping? Here are the ones to look out for. For those who like their watches XL, the Yacht-Master now comes in a jumbo 42mm diameter case. What makes it even cooler is that it’s black, to boot; the bidirectional rotatable bezel in a sandblasted matte finish perfectly offsets the shiny lacquer dial. But don’t let all the black fool you as the case is made out of 18k white gold, the first time the metal makes an appearance in this range. 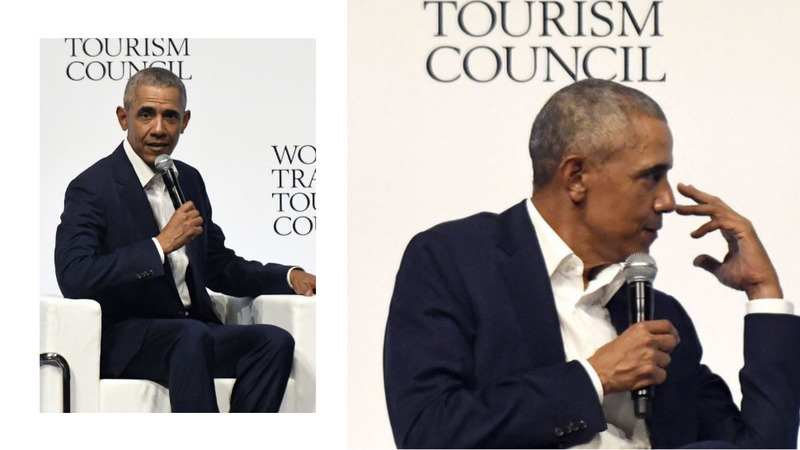 Worried that it’s a little too precious for your taste? Be comforted by the knowledge that the new Oysterflex bracelet in high-performance elastomer is hardy enough to withstand all the activity under the hot sun and open sea. If you’ve always had a fondness for the Sea-Dweller but thought the only thing missing was that it would look extra cool in yellow gold… well, you’re in luck. 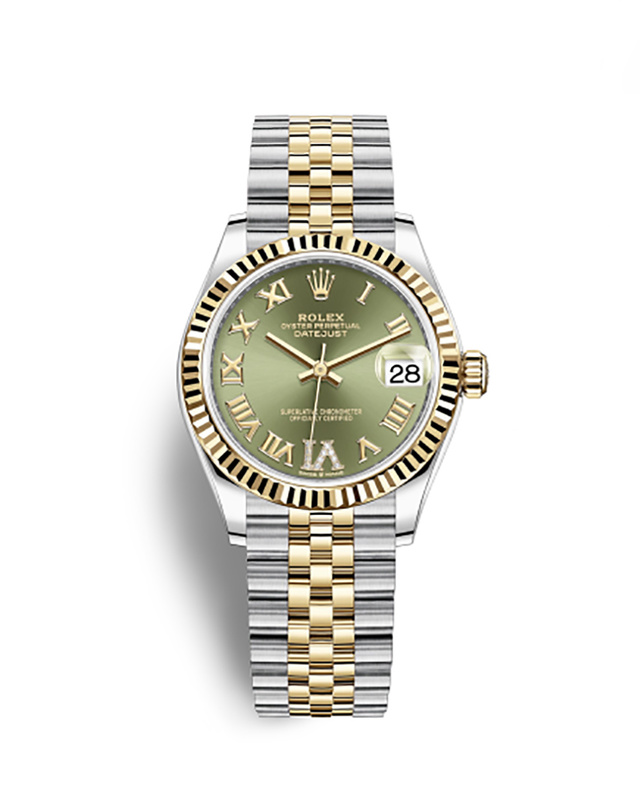 The 2019 edition introduces the model in two-tone yellow gold Rolesor, the signature Rolex metal that combines precious gold with sturdy and reliable Oystersteel. Making it even more handsome is the unidirectional rotatable bezel in black ceramic, with knurled edges that allow for adjusting even while wearing dive gloves underwater. Bonus: It looks just as good above water, too. This is one of those times when being black and blue isn’t a bad thing. 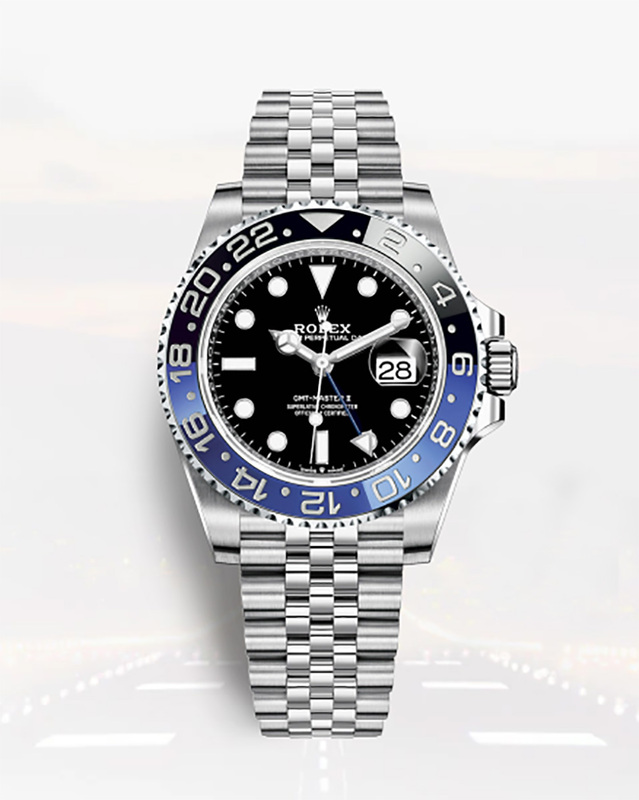 Known as the travelers’ watch, the GMT-Master II is now available in Oystersteel with a high-tech ceramic bezel in black and blue. This color scheme distinguishes it from the model released last year, with a Cerachrom bezel in red and blue. You could argue that this one looks a tad bit more masculine, but the real beauty is that we now have a choice, right? 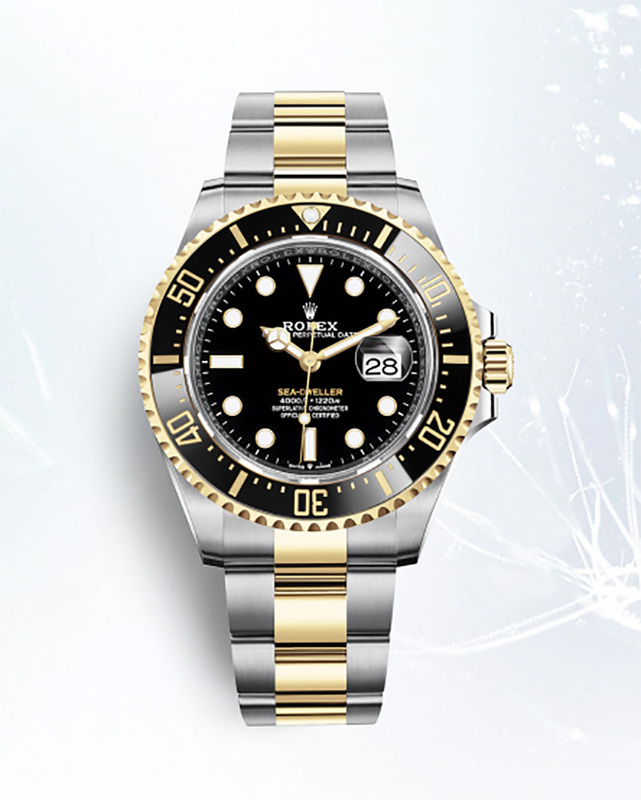 Do you prefer your Rolex watches with a liberal dose of bling? Then we present this beautiful, shiny thing for your consideration. The legendary chronograph that is synonymous with speed and racing now comes with more diamonds—36 trapeze-cut ones in place of the tachymetric scale, to be exact. There are also eight stones to mark the hours, made even more sumptuous against a backdrop of champagne-colored chronograph counters interlaced with black lacquer. Last year’s Cosmograph Daytona featured rainbow-colored diamonds around the bezel, and if you thought a Rolex watch couldn’t outdo itself, it definitely found a way to dial things up a notch. Or maybe you like to stick to the classics, but with a twist. This year, there are five version of the enduring Day-Date 36 to choose from; picking the one for you is almost like playing a fun (and increasingly expensive) game of mix and match. Rolex introduces a concentric gradient design with a green ombré dial paired with yellow gold and a brown ombré dial matched with Everose gold. If a colored stone dial is your thing, choose from pink opal in white gold or marbled turquoise set against yellow gold. And if committing to a shade is just too much to ask, go with diamond-paved white gold and hour markers in baguette-cut sapphires that reflect every color of the rainbow. If the last watch range had you feeling a bit dizzy, it might help to narrow down your choices to plain and simple black or white. There are two new versions of the Datejust 36 to choose from in white Rolesor, the Oystersteel-and-gold hybrid that is built to last. The black sunray dial comes with a fluted bezel, while the white mother-of-pearl dial has a bezel lined with brilliant-cut diamonds. 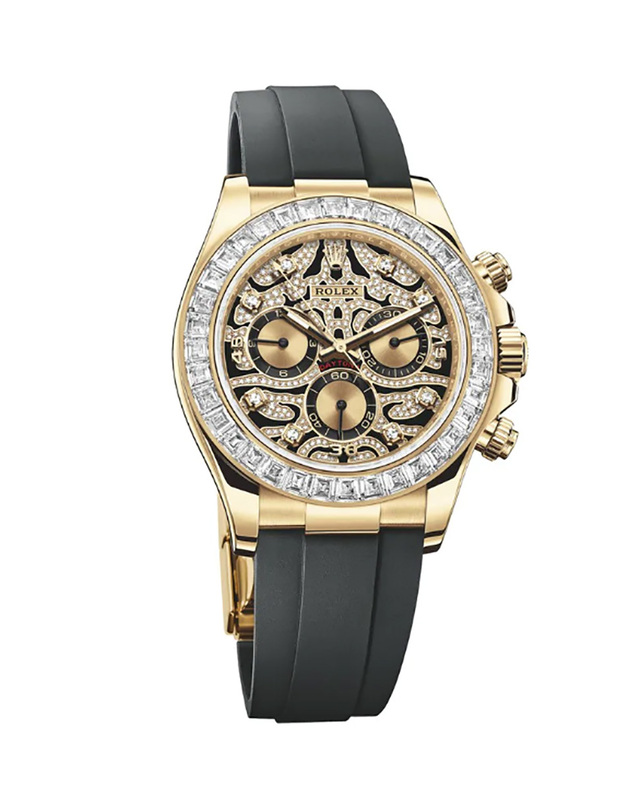 To further distinguish between the two, the black comes with the five-piece Jubilee bracelet while the mother-of-pearl is complemented with the three-link Oyster bracelet. 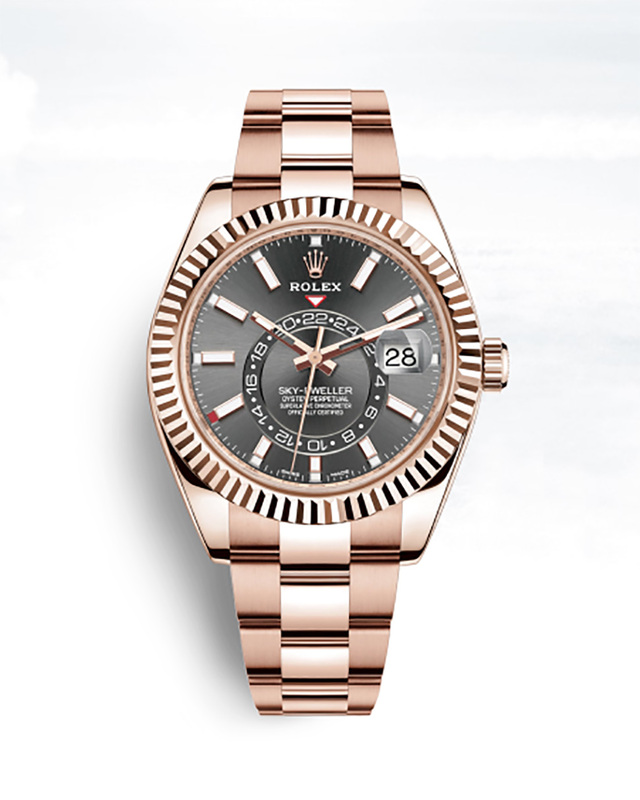 You could also cut your choices to just yellow gold versus rose gold, as in the case of the latest Datejust 31. The 18k yellow gold Rolesor version is complemented by an olive green sunray-finish dial with delicate diamonds at the six o’clock mark for that touch of flash, while the rose gold version bears a rosé-colored dial plus Roman numerals and hands in 18k rose gold to match. 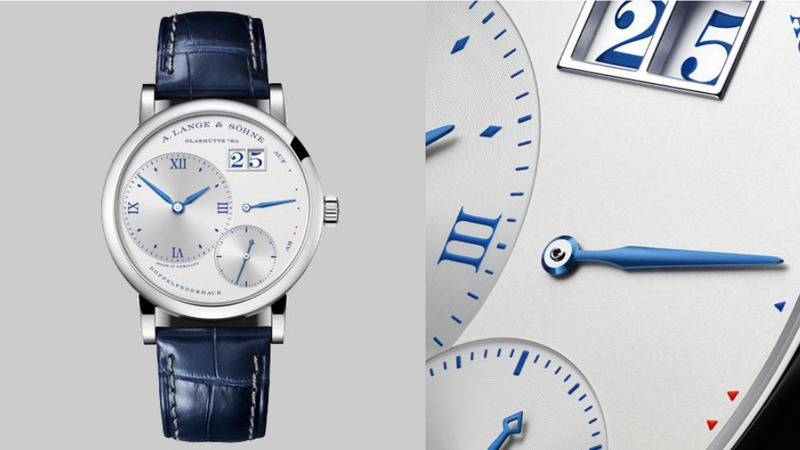 Both are timeless and elegant, perhaps the perfect starter watch to build your collection. 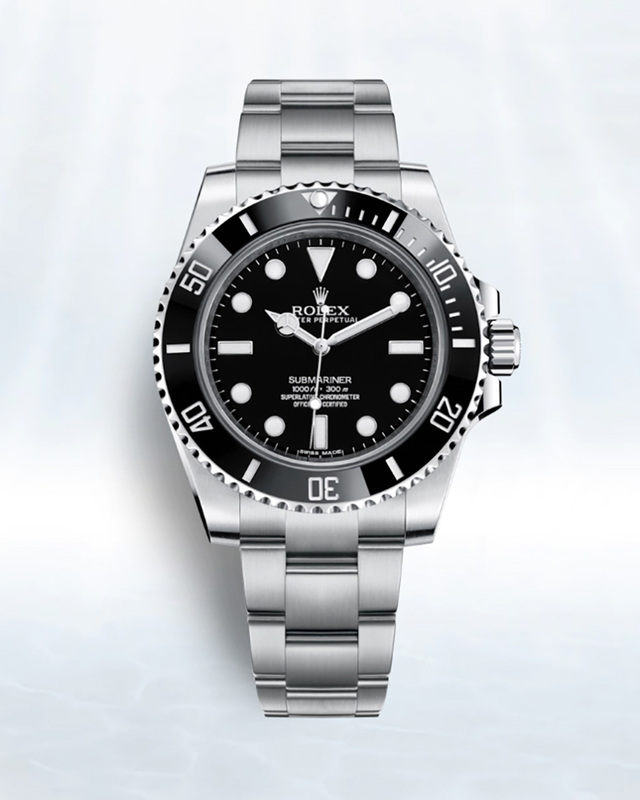 If only for the fact that this was the watch worn by Sean Connery in the first James Bond movies, the Submariner stands immortal as a true watch icon. It has forged a reputation for being the world’s best diving watch, as functional as it is good-looking. Modern versions of the Submariner have stayed true to the watch’s DNA by retaining qualities that make it elegant and sporty—the best, most versatile combination you could ask for and a showcase of what the brand does best. 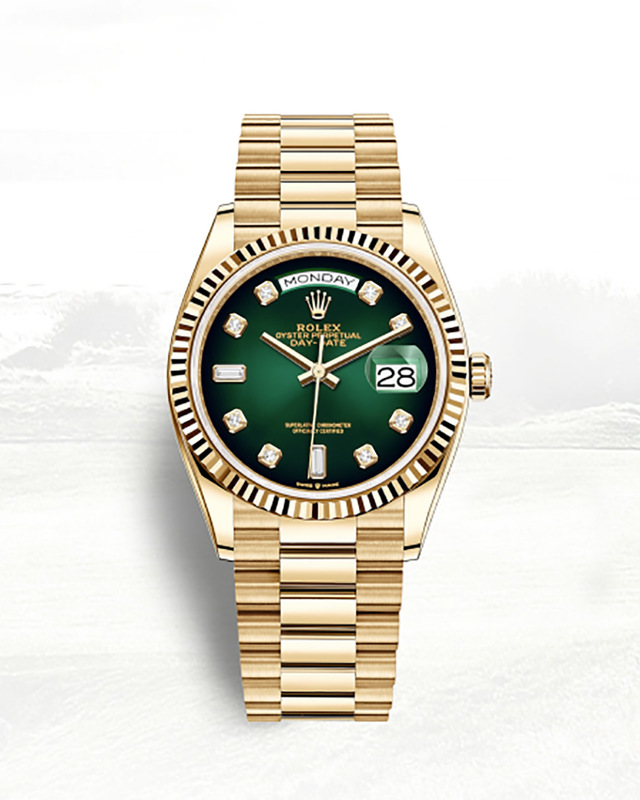 This is among Rolex’s more contemporary releases, introduced fairly recently in 2012. But it has already won over a new generation of fans; Jay-Z and Conor McGregor have both been spotted wearing one. With an eye-catching dual time zone that allows you to keep track of the hours in two places at a glance, it’s perfect for the guy who keeps multiple residences in different parts of the globe. 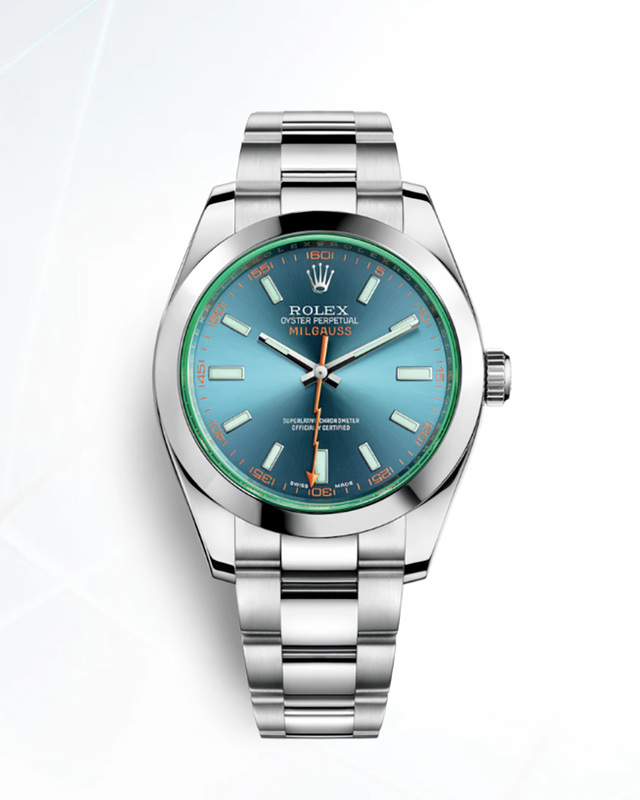 The Milgauss is a bit of an oddity as far as Rolex watches go, and for that alone, it deserves a place on this list. With a design that’s less flash, more serious-intellectual, it was originally developed for scientists and engineers who needed a timepiece that could withstand electromagnetic fields. The prototype was tested by no less than CERN and found to be resistant of up to 1,000 gauss, hence the name. Despite the cool origin story, sales underperformed and it was discontinued in 1988. Rolex revived it in 2007, bringing back a charming signature found in the older models: a seconds hand in the shape of a lightning bolt. If that doesn’t speak to your inner science geek, we don’t know what will.